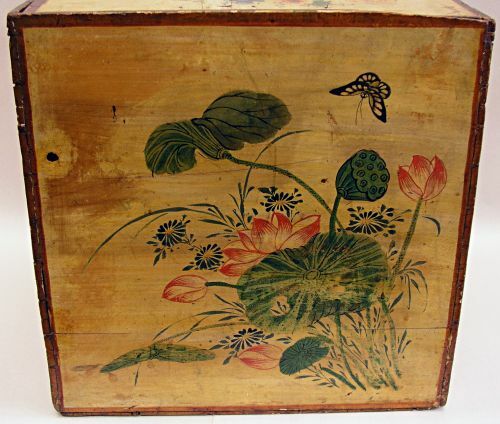 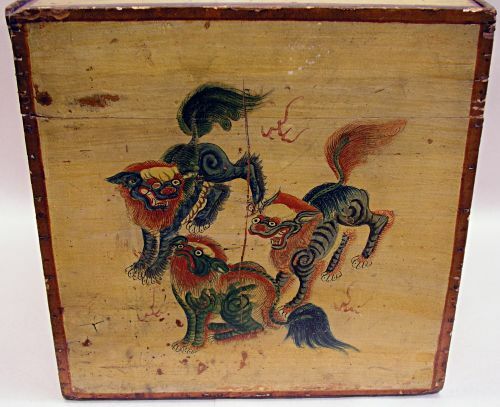 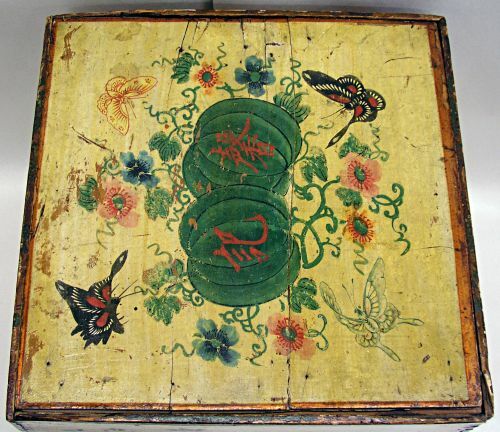 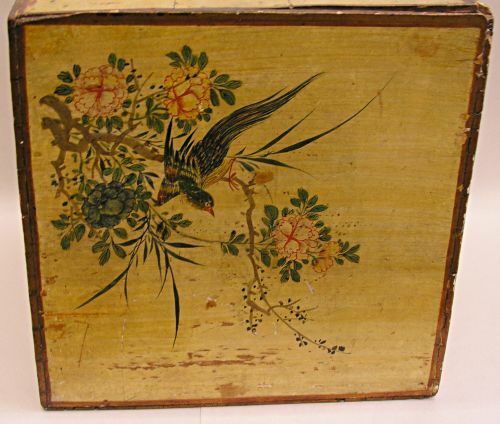 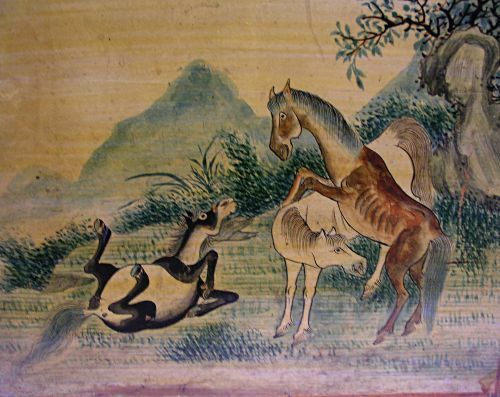 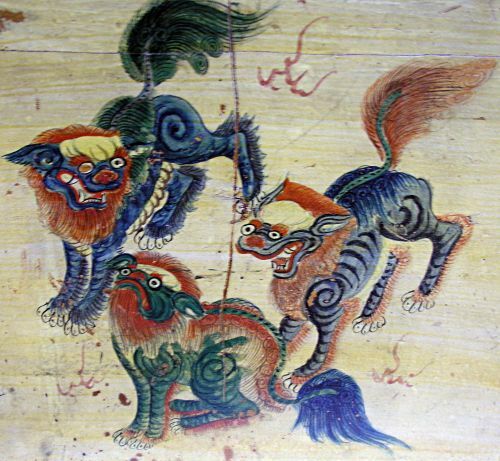 Painted Chinese box possibly a tea box with Birds Horses Butterfly`s and flowers. 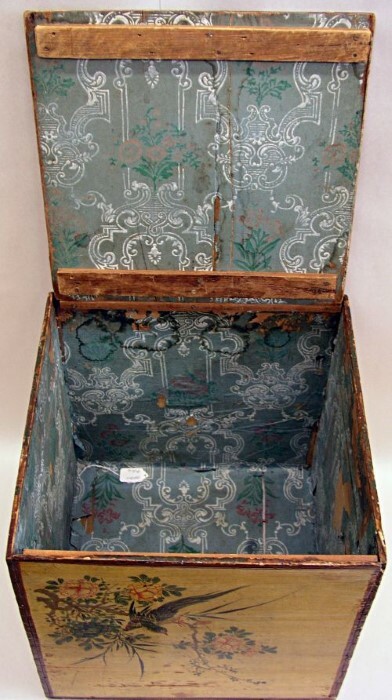 Wonderful construction with very small dovetails and early T nails with a colorful wallpaper interior. 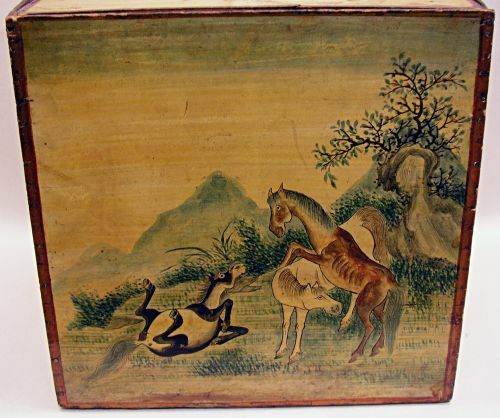 Dimensions: Measures 15 1/4" tall wide and deep.